Retargeting reviews by real, verified users. Find unbiased ratings on user satisfaction, features, and price based on the most reviews available anywhere. Discover What’s Next. We bring great content to audiences wherever they are. Justuno is a suite of website conversion tools used to turn daily website traffic into email subscribers, sales, and social fans. Convert a higher percentage of your visitors using website pop-ups, sign up bars, exit pop-ups, and timely on-site messaging. So much time and money is spent on driving traffic to your website but the tough reality is that, on average, only 2% of traffic converts into a lead or sale. This is frustrating and you should have more control over your conversion rates. 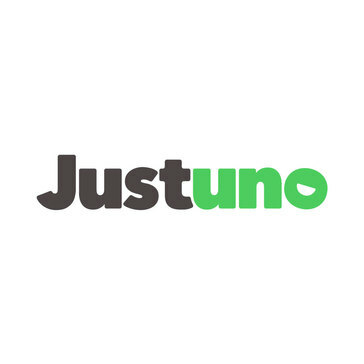 Here’s where Justuno helps you. Justuno’s conversion rate optimization tools engage and convert your traffic for you so you can focus on other key aspects of your business. Increased traffic conversion can also improve ROI from paid traffic, email marketing, and social marketing campaigns, making your marketing incredibly efficient. OptiMonk is an Onsite Retargeting platform that helps user increase the conversion rate of site, and get more leads by recovering lost visit. URL shortener for savvy marketers. Add a retargeting pixel in any link and retarget all the people who click on them! TargetBay lets you personalize eCommerce experience through reaching out to targeted customers with tailor-made messages. Improve conversions, customer loyalty and ROI with TargetBay tool which helps you understand how a shopper navigates through your website and personalize their shopping experience. A no-coding alternative to Google Tag Manager and Segment. Set up tracking on your website or applications without writing code, and unify your customer data across all the marketing tools with a few clicks. Manage tags, conversions, forms, e-commerce events, add to cart, purchases, customer traits, product data without writing any code. Skyrocket profits with an automated 384% conversion boost on your offers. Retargeting is the easiest, most cost effective way to get your message across. It gives you another chance to get in front of your visitors and stand out from your competition. Match2One is a Programmatic Advertising self-service platform. Making it easy for small and medium size advertisers to grow their sales! Automatically determines the perfect moment, to show the perfect ad, to the perfect person. Retargeting is an eCommerce marketing automation and personalization platform. This add-on tracks every action that your visitors are doing on your website in order to provide personalized messages aimed towards closing more orders, faster. This add-on provides user level analytics and enables key decision makers to improve each aspect of the buying funnel and discover pain points. You can uncover which of your site categories is more popular, which are your most loyal customers, and how long is your buying cycle. Retargeting includes 4 different types of messages that are automatically sent based on a set of predetermined rules. Message types already included in Retargeting: On-site messages are displayed while visitors are still browsing, and can be used to offer discounts for email newsletter subscription, present special offers for products a visitor has shown interest in, or target visitors navigating away from the page. Email messages are sent to visitors after they have navigated away from the site, based on visitor behavior, or linked to particular events such as visitors’ birthdays or Black Friday sales. SMS messages are purposely send to act as an reminder to the rest of the messages. Using SMS you can assure yourself that you are reaching all of your customers, even those who aren't constantly checking their email. Push notifications are a series of messages (automate & manual) that are sent to your visitors in order to increase sales, to reduce user inactivity or to recommend similar products. Each type of message can be customized 100% by you, to better suit every need that you might have. The setup process is very easy, needing only to setup the rules and message templates once, while the rest will be done automatically by Retargeting. Multitesting and Analytics If you are passionate about A/B testing, Retargeting offers a comprehensive multitesting feature, where you can test any number of message versions that you want. You can make and test multiple message modifications at the same time, in order to determine a winning version based on live results. You can then choose the winning version either manually or you can let the platform make the choice based on the results. Retargeting has also an integrated dashboard that gives you access to key metrics related to your retargeting campaigns. You can easily track the performance of your campaigns and compare the results with your website traffic, from one unified dashboard. Results For live results you can visit this page: https://retargeting.biz/en/live-results Pricing Retargeting uses a performance based pricing. It means that you only pay a commission for the orders generated by Retargeting. Commision tiers are as follows (depending on the total value of the sales generated by Retargeting): Free trial Retargeting offers a 14 days free trial so you can test the app for yourself. Retargeting is the solution to converting cold traffic. This simple software makes it easy to embed a tracking pixel on any website to allow retargeting and tracking through your own custom cloaking link. The software is provided as a SaaS app that is hosted on our cloud, so there's nothing to install, allowing for you to quickly start using the app. Hi there! Can I help you find the best Retargeting solutions?